The True Gossip Home / MILEY PARTYIING WITH DRINKERS? 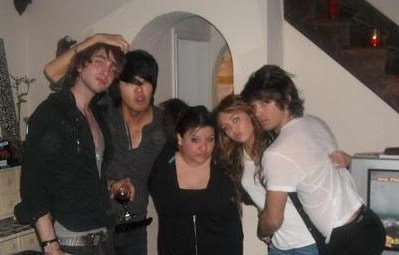 Here's a photo we found of Miley Cyrus and her boyfriend Justin Gaston with a few friends at a party. Look at the guy all the way on the left. Some say he's drinking wine or some type of alcohol. He may be over 21, but do you think Miley should be at parties with such an older crowd? Leave us a comment in our "shoutbox" and let us know!